21 ways to unlock creative genius #infographic ~ Visualistan '+g+"
Have you ever been asked to be a creative genius in an instant? Sadly it isn’t always that easy, but there are times that you can’t always wait for inspiration to appear. Sometimes you just have to hunt it down. 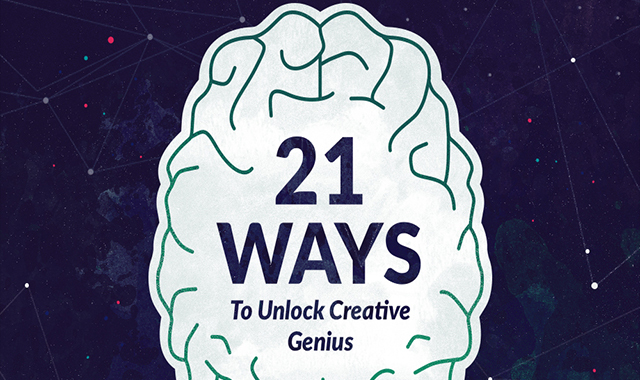 In our latest infographic with Entrepreneur Magazine, we illustrated 21 tricks and strategies to unlock your creative genius when you’re feeling a bit stumped.